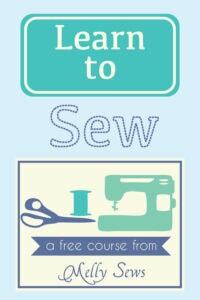 Hey y’all – this is the last Back to Basics tutorial of the month – and we’re ready to tackle sewing things to wear! 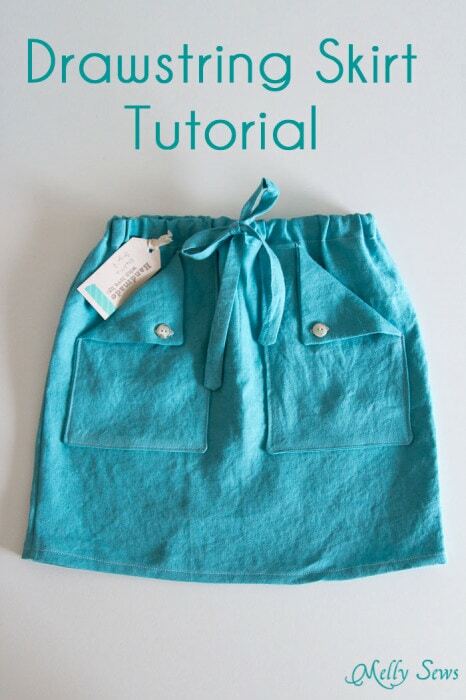 I’ve got a super simple skirt tutorial for you. Seriously, start to finish this one takes about 45 minutes (give yourself more time if you’re new to sewing, but before long you’ll be able to crank these out in that time frame, promise!). And you can make it in ANY size. 1″ wide elastic. You will need the same length as the wearer’s waist measurement (see chart below). Measure your elastic without stretching it. Fabric. Depending on who you’re sewing for and how long you want your skirt, this may be anywhere from 1/2 yard to 2 yards or more. Download the chart below to figure out how much you need. Find the waist measurement for your wearer on the chart you can download here. 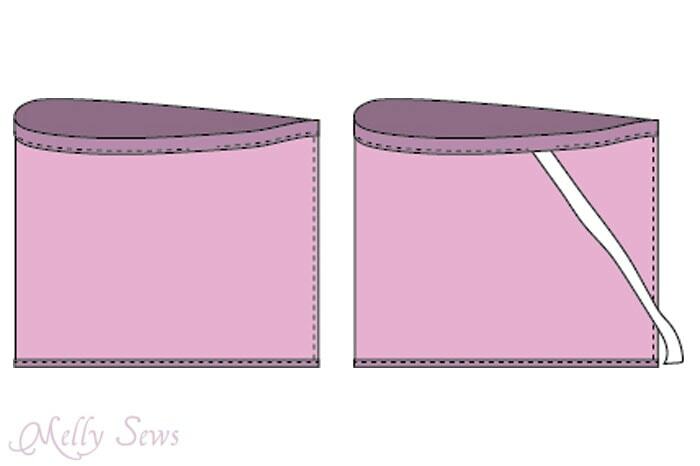 The elastic will be cut to the waist length; the skirt fabric needs to be 1.5 to 2 times the waist in width. A skirt that is 2 times the waist length in width will be more gathered and fuller than a skirt that is only 1.5 times the waist length. 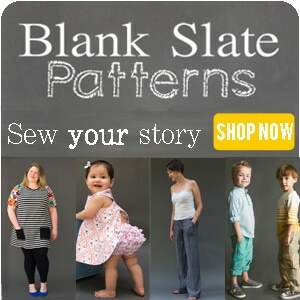 I’ve listed 3 skirt lengths on page 2 of the chart for each size – to the knee, midi (mid calf) length, and maxi length. Choose the length you’d like, then add 2 1/2 inches to that length so you’ll have enough fabric for the waist casing and hem. So to figure out how much fabric to buy, first figure out your width and length. 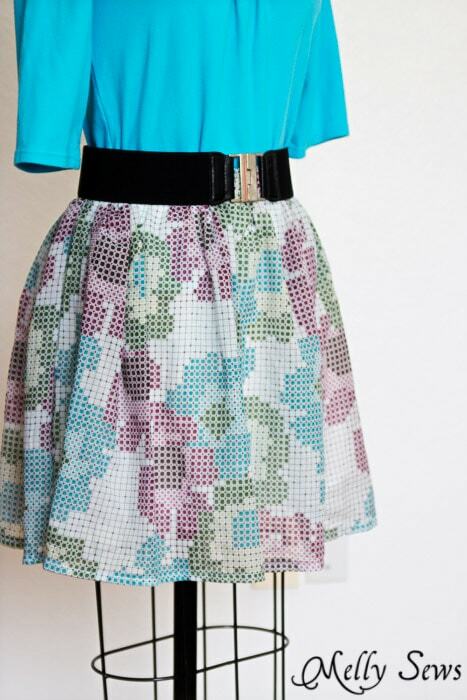 For the skirt in the photo, I made it 44″ wide by 24″ long. Most fabric is at least 44″ wide, so I bought 2/3 of a yard (24/36 because a yard is 36″ simplifies to 2/3) and had the fabric for my skirt. 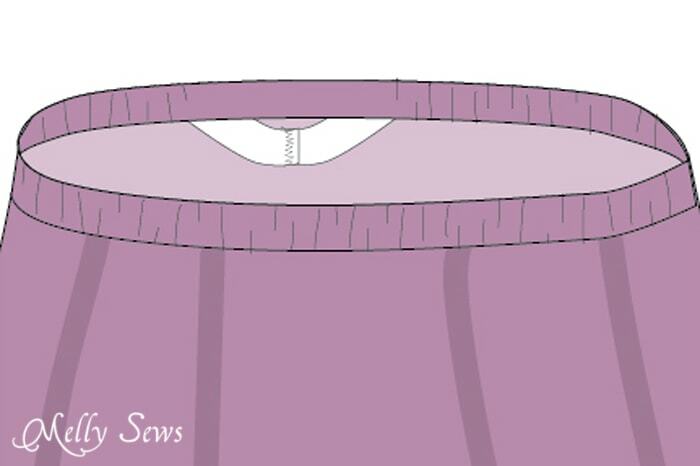 But say you decided to make a size 20 maxi skirt – you’d need your fabric to be at least 60.75 inches around for the waist (40.5 x 1.5), so if the fabric you choose is only 44″ wide you’d need to buy 1 3/4 yd (60.75/36 then rounded up) and you’d have a few inches extra left after you cut out your skirt. If you prefer video tutorials, see the one below. Or if it won’t load for some reason you can see how to sew a simple skirt on YouTube here. For those of you that prefer written tutorials, keep reading after the video. Next, fold the top edge of the fabric down 1/4″ and press it. Fold it down again 1 1/4″ and press it – this will form the waist casing. 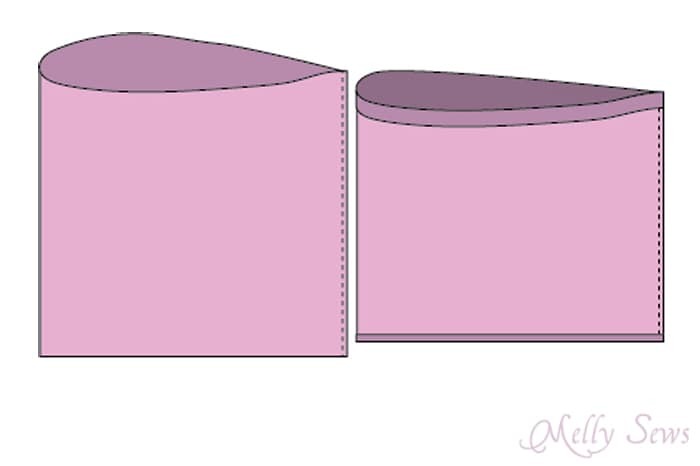 On the bottom edge of the skirt, fold the raw edge up 1/2″ and press then fold it again 1/2″ and press to form the hem. Stitch the casing along the bottom folded edge, leaving about 2″ unsewn so you can insert the elastic. Stitch the hem in place. Using a safety pin hooked through the end of the elastic, feed the elastic through the waist casing, being careful not to twist the elastic. Overlap the ends of the elastic and use a wide zig zag stitch with a short stitch length to zig zag the ends together, remembering to backstitch across your elastic as well. Pull the elastic into the waistband and sew the opening in the casing closed. You’re finished! Ready for another easy skirt? Try this one. 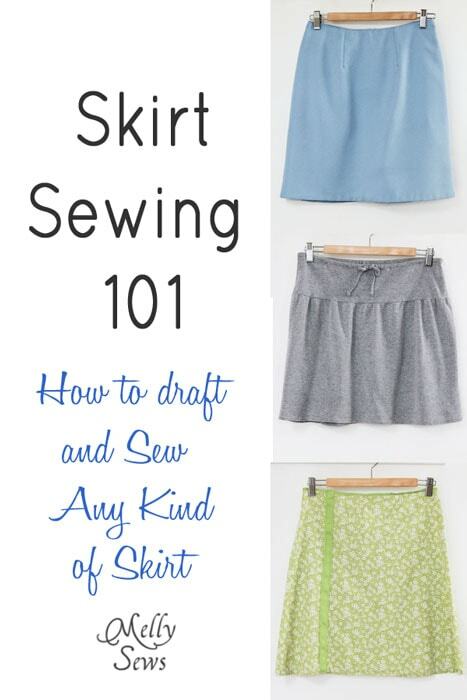 Want to see how to do even more skirt drafting and variations? Check out this post. Totally awesome, Melly! I’m in a sewing mode right now, so I can seriously knock this one completely out. I am going to a wedding, and I wanted to make something, I have a nice piece of material that I can make this out of and a kinda dressy top, and I love the belt, I can do that one too. Thanks for sharing. My skirt is ready for the elastic. What I am wondering about is do you tack the elastic at all and will it stay nicely all around or will the material have to be adjusted every time to make it even around the waist. Thank you for the tutorial. It depends on your fabric – if you feel the elastic is sliding around inside the waistband too much, you can definitely tack it in place. I’d do a vertical straight stitch at the center back seam to start with, and add a few more if needed. Thank you for the tutorial and size chart! I am currently expecting our third baby and would love to make a maternity version of this. Do you have any tips on how I can accomplish this and still have a neat looking skirt? Instead of measuring from waist to desired length would I measure from hips to desired length? 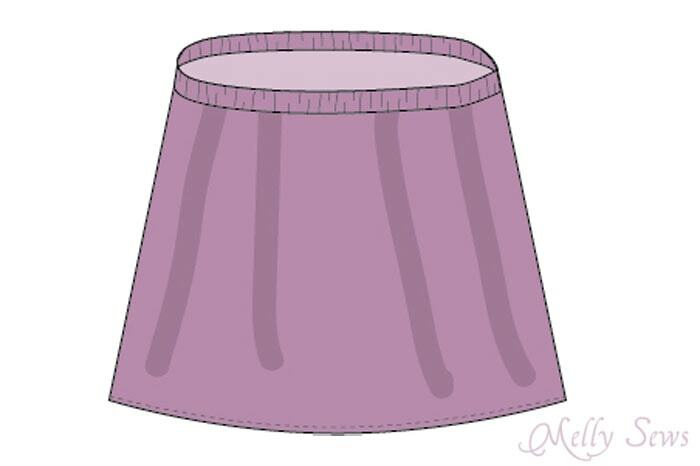 To make the skirt, would I simply gather the top and attach it to a knit band instead of making a casing and adding elastic? I’m fairly new to sewing, any help is greatly appreciated. I suppose i am one of few male followers of your site. I have made this for my wife while she was at work. I hope she will like this first effort, which I think just worked fine. Thanks for the tutorial that was very clear to follow.